By Sikhulile Moyo, 1 December 2017. The conversation, press coverage of our KRISP paper Moyo et al. (PLoS One HIV 2016). A critical part of reaching zero new HIV infections by 2030 as the 'UN's Sustainable Development Goal aims to do' is to be able to track accurately when specific high risks groups become infected with the virus. This information gives an indication of whether the programmes and interventions designed to reduce the number of new infections are working in a particular population ? or whether infection rates are rising. It also helps researchers and scientists design new interventions among vulnerable and high risk groups where infection rates remain stubbornly high. For example, if there are high infection rates among young men in Botswana over a certain period, by tracking cases accurately researchers can look at the interventions introduced and deduce whether or not they?re successful. But accurately and reliably identifying these new HIV infections remains a challenge ? particularly in sub-Saharan Africa. Part of the problem is that the longitudinal surveys used to collect data ? initially designed in developed countries ? are too expensive and complex for developing countries. But new more viable methods have been developed that are helping to significantly close the data gap and open to the door to infection rates being mapped much more accurately. One of them is the use of biomarkers ? a naturally occurring characteristic ? to identify recently infected people. Previous research has shown that there are biomarkers in the body that change as soon as someone becomes infected with HIV. These biomarkers can be used to classify HIV infections and, as it were, 'date' them as new or old infections. 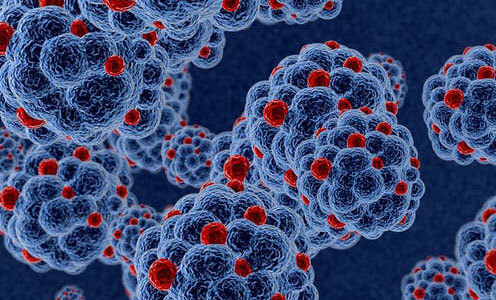 - a genetic marker which tracked the diversity of the HIV virus. Using the genetic marker we went on to develop a diversity index which determines how diverse the virus has become. The method we have designed will save costs because it won?t require having to follow a large number of people over a long period of time to establish infection rates in a community. Our method allows estimates to be made on the rate of new infections. To overcome this challenge we decided to move away from the body?s response to the virus and instead to look at the virus itself ? in other words to consider a genomic marker. The virus then diversifies over time due to errors when it replicates in the body and due to pressure from the host?s immune response. Although the virus can resemble one strain as soon as it is exposed to the body it changes and becomes more diverse. The longer it lives in the body, the more diverse it becomes. The ability to accurately estimate incidence ? the number of newly acquired infections over a given period of time is essential to assess whether prevention efforts are working and to identify high risk sub-groups that could be targeted for interventions. Dr. Sikhulile Moyo is a Research Associate/Post Doctoral Researcher and Deputy Laboratory Director at the Botswana Harvard AIDS Institute, Harvard University. Dr. Moyo graduated in 2016 with a KRISP PhD. We are very honored to see our previous students to succeed! Drug resistance mutations from whole blood proviral DNA among patients on antiretroviral drugs in Zimbabwe. Chimukangara B, Gwanzura G, Mitchell R, Katzenstein D, Masimirembwa C , Curr HIV Res (2014), 12(5):309-16.